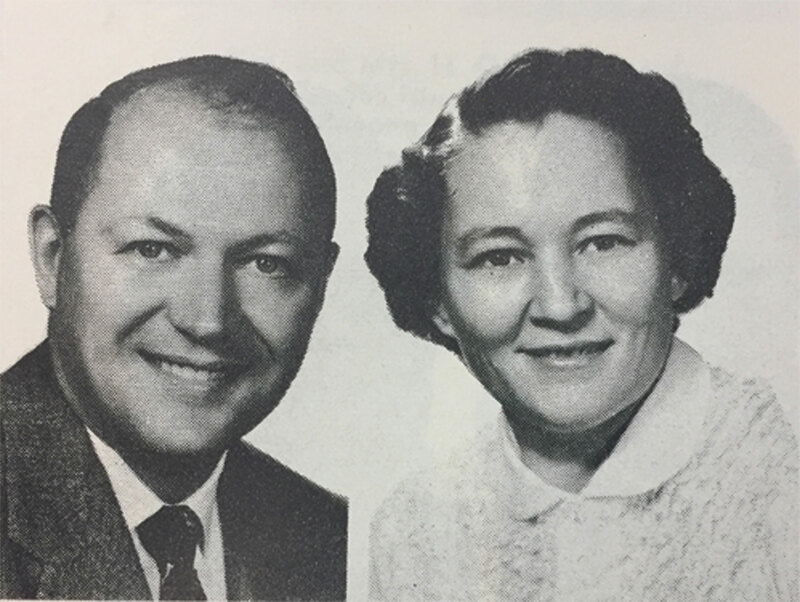 The young husband looked at the short-term nurse, Ely, with desperation in his eyes as she coached him on how to time the breaths he was administering to his dying wife, Ma Sing. Ma Sing* had been severely ill for several days. Her family had waited far too long to make the two-day journey to Memorial Christian Hospital (MCH) to get her the care she so desperately needed. By the time she arrived at the hospital, her life was teetering dangerously on the line. “I could see from a quick assessment that if we didn’t act quickly, she wouldn’t have much time left,” Ely said. No one could identify the source of the infection that was now threatening her life, but it was clear that without surgery she would die. Oxygen was administered, labs were drawn, and Ma Sing was prepped for the operating room. For weeks after the surgery Ma Sing’s husband and family members took turns administering breaths from a manual resuscitator, hoping that their breaths would bring life back to her struggling body. With limited resources, the hospital lacks a ventilator machine, despite the urgent need for one. Patients who need to be intubated—and MCH sees many—must have family members available around the clock to give them manual breaths. The beginnings of Memorial Christian Hospital in South Asia came in 1959. Recognizing the great physical needs and even greater spiritual needs of the people of East Pakistan, a small group of NGO team members followed God’s leading and founded MCH in 1966. Today it is one of the area’s major surgical resources, performing more than 2,000 surgeries and seeing over 50,000 patients a year. But providing this underserved region with quality healthcare is not the hospital’s only purpose. Even greater than its role as an emergency healthcare facility, MCH is also a unique and powerful avenue for spiritual change for a lost and dying people, says Dr. Steve, who has served at MCH for 22 years, and today serves as the hospital's chief of surgery. During a refugee crisis involving the Rohingya people in the summer of 2017, MCH was one of the main hospitals where refugees suffering from severe trauma wounds were referred to receive surgical care. As the crisis unfolded, the outdated and aging facility quickly found itself overrun by the influx of injured and dying refugees—reaching and exceeding full capacity within days. With the outstanding help of volunteers from the organization Samaritan’s Purse, however, the MCH staff rose to the occasion and demonstrated love and healing towards the hurting souls of hundreds of these refugee patients. In doing so, MCH further strengthened its reputation as a place of compassion and healing in the Rohingya community—which staff had been prayerfully trying to reach with the truth for years. News of the hospital’s impact during the crisis reached far and wide. 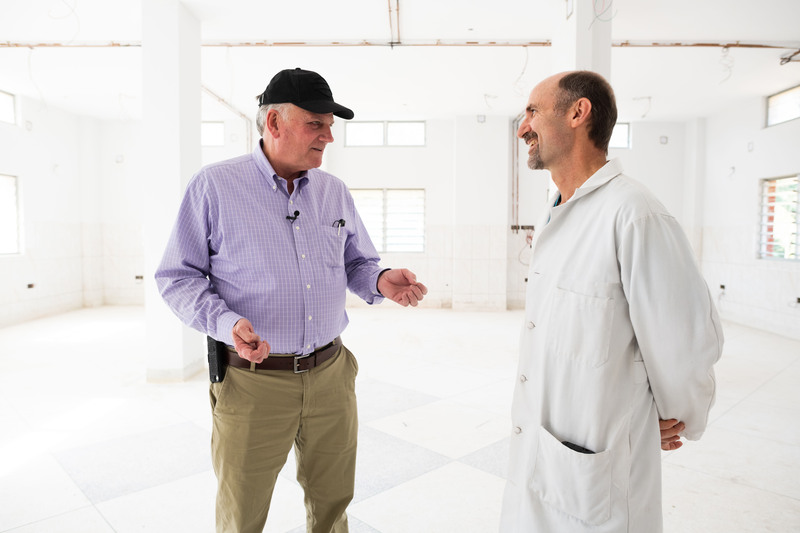 When the President of Samaritan’s Purse, Franklin Graham, heard about the team’s involvement, he made plans to visit the facility to see for himself. As a result of the work he saw being accomplished, Graham donated the remaining funds needed to complete a long-awaited renewal project that the MCH team had been working on for more than two decades. The extensive, three-phase building project will replace the current facility with a new, 100-bed multi-level medical center, with room for additional expansion in the future as needed. The project includes an intensive care unit, nine operating rooms, three additional c-section/delivery rooms, a post-anesthesia care unit, an obstetrics wing, private rooms, an emergency room, and trauma services. This expanded and updated building is a God-driven project over 22 years in the making. When Dr. Steve and his family arrived on the field in 1996, they were sobered by the aging facility where they had come to work. “It was considerably more crowded and run-down than any of the old photos or the video we had seen,” Steve said. More than 30 years of heavy use, combined with the ravages of the tropical climate and needs of the exploding population, had pushed the facility into inadequacy. And as medicine and technology rapidly advanced, so did the need for an updated facility. But with little funding and even less construction know-how, the team had absolutely no idea where to start. So they decided to commit the proposed project to two years of prayer, seeking God’s guidance in what they would need to improve their facility for ministry. “It wasn’t necessarily what I would have done,” Steve said, recalling the test of patience the team would experience as they committed to prayer—and only prayer—for two full years before they decided whether God would open the door to a new hospital project. 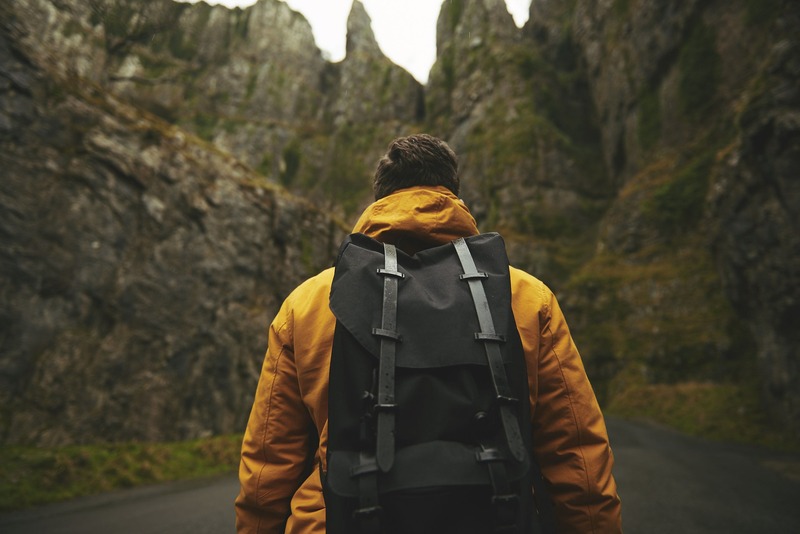 But through the years, mishaps, and miracles that followed, Steve said he could clearly see how the team had made the right decision in seeking God’s direction and blessing before ever discussing bricks and mortar. During those two years of prayer, the regional director who oversaw the team reached out to the ABWE Project Office—a young initiative that had been started only three years prior, whose purpose was to help missionary teams with their construction and project management needs. The Project Office’s first visit to South Asia in 1998 mostly served to guide the team’s future planning strategies, leaving them with several things to consider before breaking ground for a new hospital. The wait was excruciating, Steve remembers. Their team was beginning to dwindle as many of the original members were retiring and leaving the field, and no one was being mobilized to replace them. Even more discouraging was the fact that, with their resources limited even more by the extensive loss of teammates, they soon realized they would have to scrap the original plans and return to the drawing board. As frustrating as it was, however, Steve said that now they can see how God was working it all in his perfect timing. “If we had done anything between 1997 and July of 2010, we would have had colossal regret,” he said. In the summer of 2010, newspapers announced that a nearby railway started by the British in the nineteenth century was scheduled to be completed. Its path ran right through the middle of the hospital’s property, where the team had been planning to build. Upon hearing the news, the team once again went to their knees in a concerted effort to pray that God would work through this seeming wrench in their plans. In the end, the railway did not move—but plans for the facility did. The site for the future building was moved back to make room for the tracks. The new plans, which would break ground in the summer of 2013, situated the hospital close to both the high-traffic highway and the new two-way national railway, promoting greater exposure and easier access to the hospital, and further confirming for Steve—and the rest of the team—that God was very much at work. “I’ve got a whole drawer filled with files about this ‘Memorial Christian Hospital’ project. Do I archive all of this?” It was early March 2006. Bill Hanson was clearing out the files in his predecessor, Ralph Gruenberg’s, office. After serving with his wife, Evelyn, for over a decade as the director of the project office, Ralph had retired. Bill and his wife, Ginny, would be taking his place. As Bill sifted through the drawers of files left behind, he came across what Steve would describe later as “three feet of documents”, all pertaining to a project he was sure had long since been closed. Noticing Steve’s name on several of the documents, Bill reached out to the doctor to see what he knew and how Bill could help. The conversation that followed resulted in reopening the project and Bill flying to MCH to see what that new project would entail. 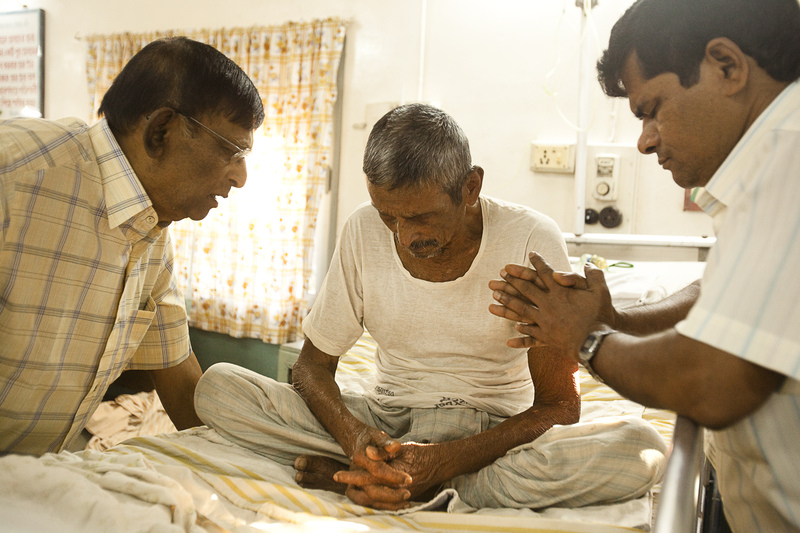 Within 48 hours of arriving, Bill could see how God was moving mightily through the hospital. A building concept was submitted and approved that same year. The approved project cost was more than $7 million. That earned them the approval to start contracting out and breaking ground. But then, at the three-quarters funding mark, the money suddenly stopped flowing in. The team once again committed the project to prayer, trusting that God would bring the needed money in his perfect timing. The team had no doubt that God would provide, but they never could have imagined just how mightily he would move. 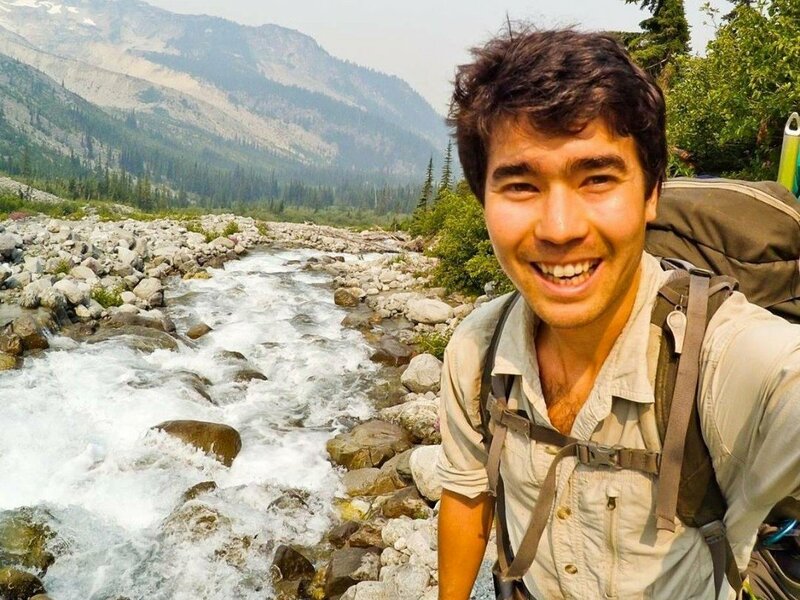 He brought in $2 million through one of Steve’s trips to the United States. And then he completed the funding with a crisis. “God works in miraculous ways,” Steve laughed. In August of 2017, more than 700,000 Rohingya refugees poured over the country’s border, fleeing brutal persecution from the Myanmar government. Staff from Doctors Without Borders (Médecins Sans Frontières) switched to emergency mode and called Memorial Christian Hospital to warn them of the coming mayhem. In the days and months to follow, the country would be flooded with nearly 1-million Rohingyan refugees, their bodies bruised and torn apart by bullets, land mines, and barbed wire. Many were overwhelmed with the grief of seeing their loved ones killed before their eyes, while others desperately searched for the families from whom they had been separated in the frantic flight from Myanmar. All of them were frightened, lost souls in dire need of something more lifesaving than mere medical care. God was not only at work in the refugees’ lives—He was also working through them. He used the work of MCH during the crisis to bring greater exposure to the hospital’s impact—exposure that would catch the attention of many around the world, including Franklin Graham and Kenny Isaacs, the president and (former) Vice President of Samaritan’s Purse. Both were also good friends of Steve’s. 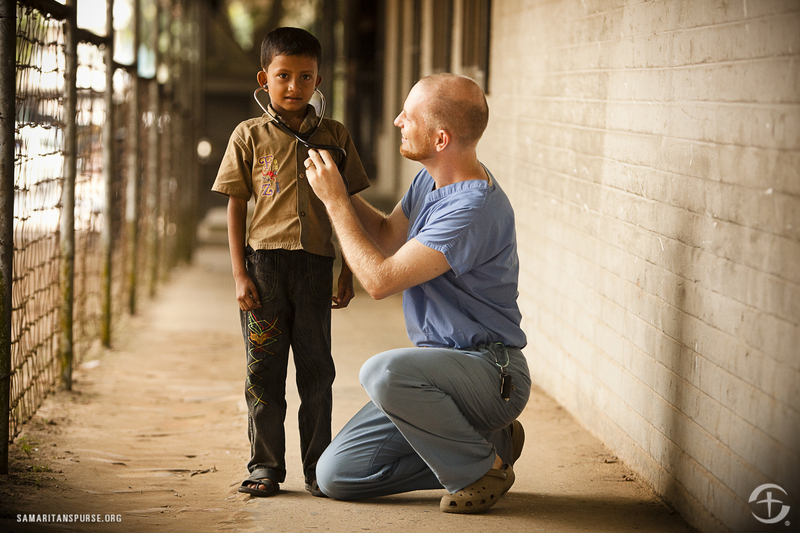 Within ten minutes of touching down in-country in late January, 2018, Graham was blown away by the impact the hospital was making in the refugee community, even at its limited capacity. As he stood with Steve looking at the half-finished new facility, Graham asked Steve what they needed to bring the project to a close. They needed $750,000 to complete the building. But Graham wasn’t satisfied to know simply what they needed to finish the shell of the multi-million-dollar project. “What else do you need?” he pressed Steve. They looked down at the future radiology lab. “Well, we are going to need a basic CT scanner,” the doctor replied. Looking back, Steve still shakes his head at the miraculous way that God often works. He admitted that initially there was high anxiety about the logistics surrounding Franklin’s visit and the stress it caused for an already overburdened staff. But what had been perceived as being a potentially taxing event turned into another amusing example of God’s power. “It was ... truly unbelievable,” he marvels. The MCH team faced plenty of practical challenges working in the old facility, but one of the greatest downsides was the limited opportunities to have spiritual conversations, Steve said. He described their work in South Asia as a “tightrope walk”, juggling sensitivity to government and culture without downplaying life-saving truths. Speaking that truth within the hospital walls is no exception, and the busy, crowded atmosphere creates too much of a distracting environment to speak the truth effectively. “One of the biggest issues the hospital staff face in sharing the truth in the current building is the lack of privacy,” Steve said. Oftentimes, when attempting to have a life-saving conversation with a patient, the staff are interrupted by the vocal opposition from the surrounding patients, who laugh at the truth or outright reject it. The ability to share it intentionally, one-on-one with patients, is what Steve says the team is most looking forward to with the new project. “God finished in a few years what should have taken six years or more to accomplish, [giving] the MCH hospital staff updated equipment and a more comfortable building to operate in." When Ma Sing and her husband followed up some time later, there was an obvious improvement in both of them. 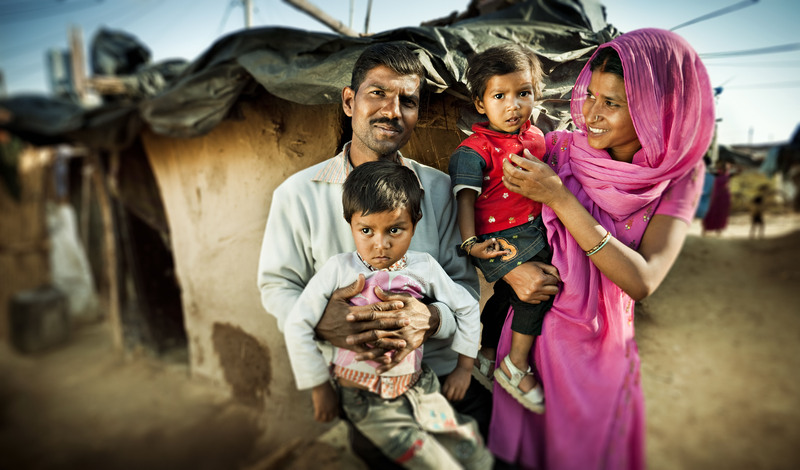 Their smiling faces beaming with joy, they explained that they had decided to follow Jesus. This new building will continue to operate as a platform for sharing truth to patients, just like Ma Sing, who come here for a second chance—but don’t know that second chance could actually be eternal. Though her recovery was slow, Ma Sing was eventually able to sit up and start breathing on her own for small periods of time. But even as miracles were taking place on a physical level, an even greater miracle was at work in Ma Sing’s soul. When Ma Sing and her husband followed up some time later, there was an obvious improvement in both of them. Their smiling faces beaming with joy, they explained that they had decided to follow Jesus. Then they asked if someone could come to their village to help them share the truth with their fellow villagers. 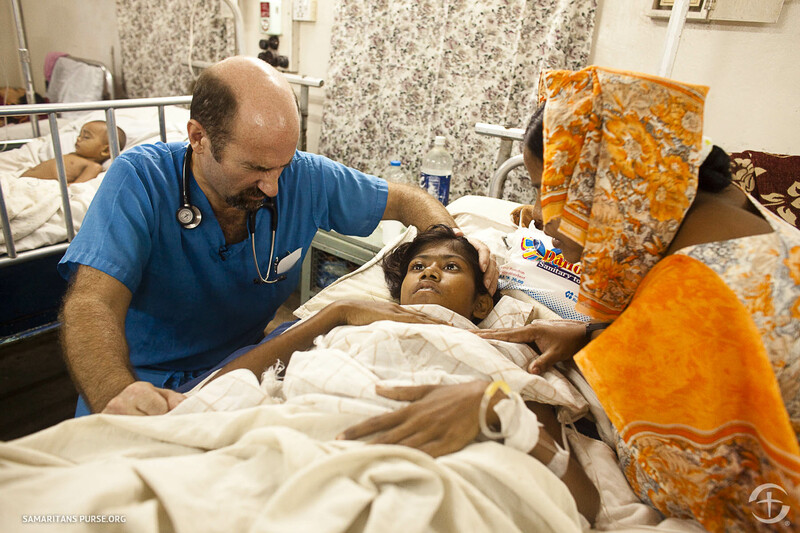 Last November, a team from the hospital made that trek to the village. “The extended family and friends were eager to hear more about the Truth,” Ely wrote. The cause of Ma Sing’s initial chest cavity infection was eventually identified—a swallowed fishbone that had perforated her esophagus, two weeks before her eleventh-hour journey to the hospital. That is the kind of life-saving work that MCH has done, and will continue to do, for the people in the region. God has created a light in the darkness to bring hope and healing to those who were lost. Now, they may now know his truth, and carry it back to their villages in their hearts and minds to share with others. Since writing and publishing this story, we have received the heartbreaking news that after many threats and much pressure to revert back to Buddhism, Ma Sing* was killed earlier this month. Her surviving husband and two young children continue to face persecution. Please pray for them and for the grieving team.